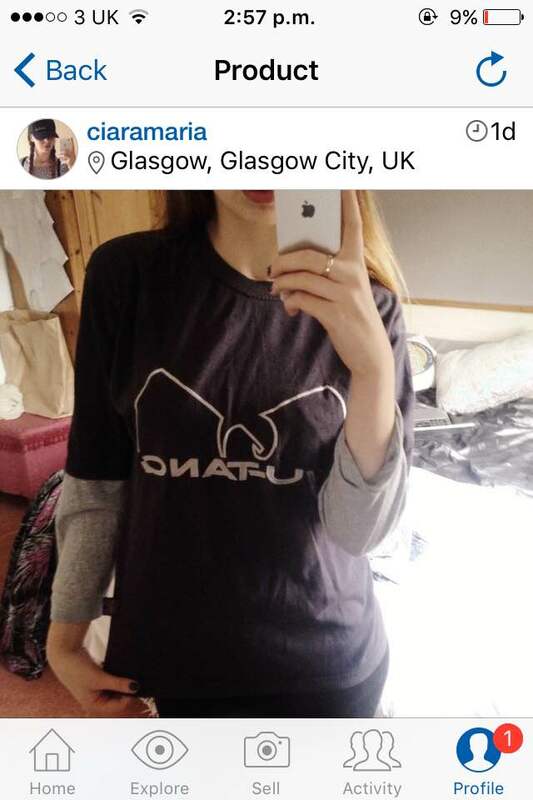 The Costume Blog – Ciara Nolan, Irish cailín and costume student surviving in Scotland. 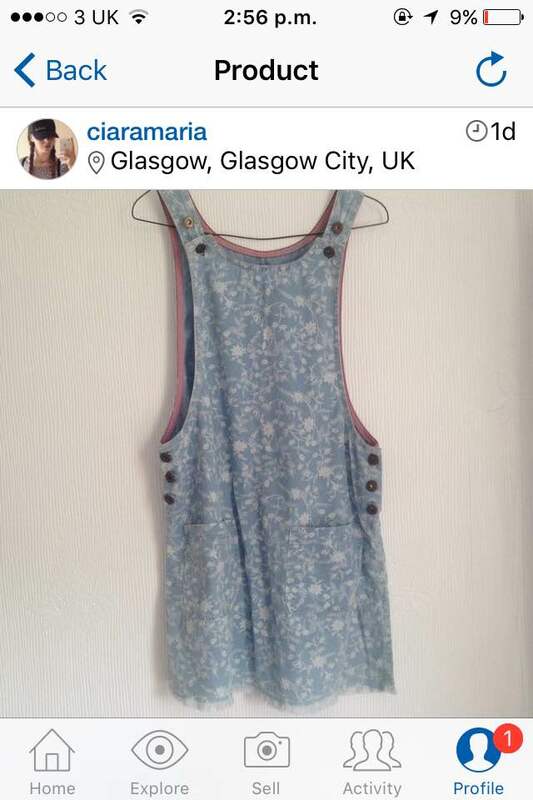 So for the past few months I’ve been selling some items on Depop because unfortunately, studying costume isn’t cheap! They have included shoes, clothes and even unused make-up. Up to this point most of the items have been unwanted items from my wardrobe, and have gone towards buying fabric and supplies. 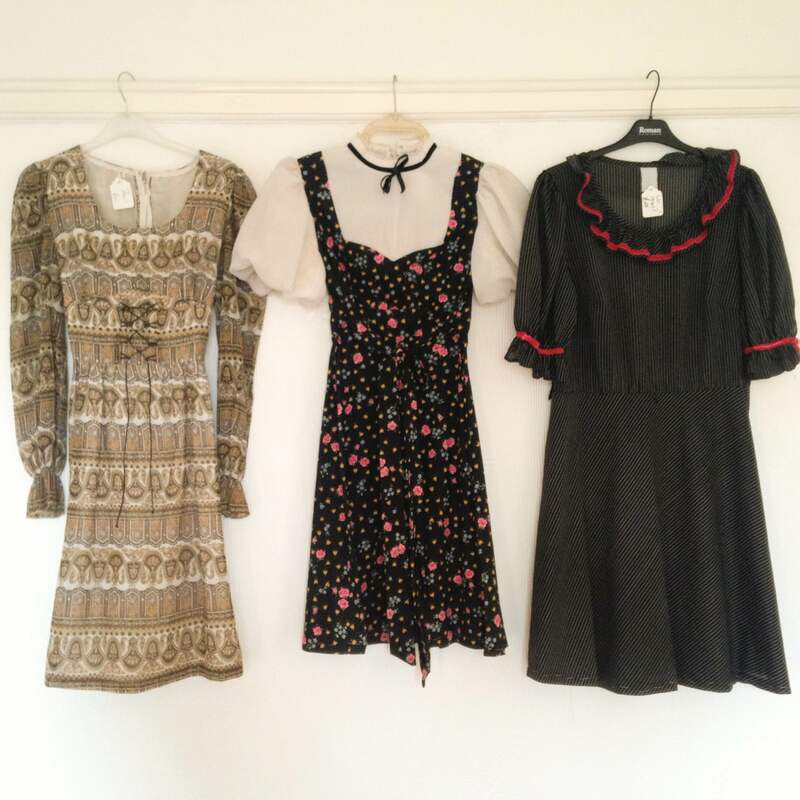 However recently I’ve been putting some time into finding key pieces from vintage and thrift stores to sell on the app, some great items with many supporting labels still attached! I’ve gone for either well known good quality brands, or great classic vintage pieces (always stating which is from where). I’ve been having so much fun doing it and have earned almost forty 5 star reviews, which makes it all worth it! 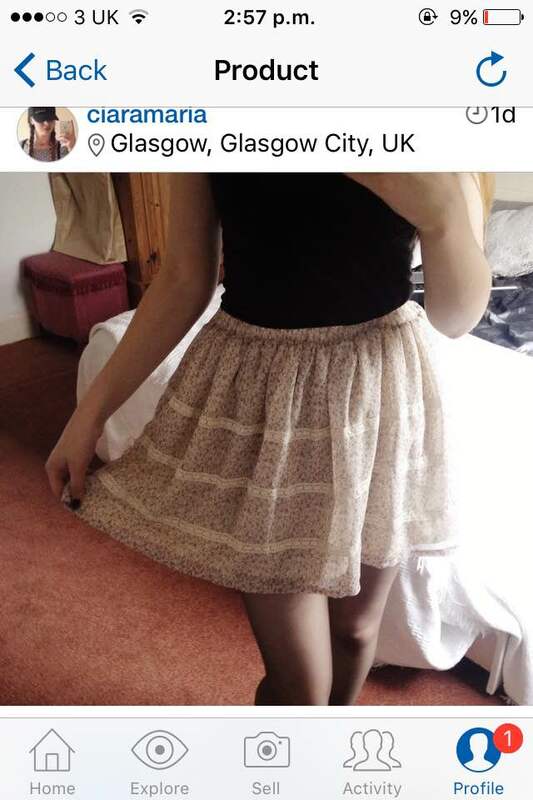 Glasgow is full of vintage stores and charity shops and spending the time and money going through the racks has helped my shopping habit, and it’s a fun way to make a few bob. 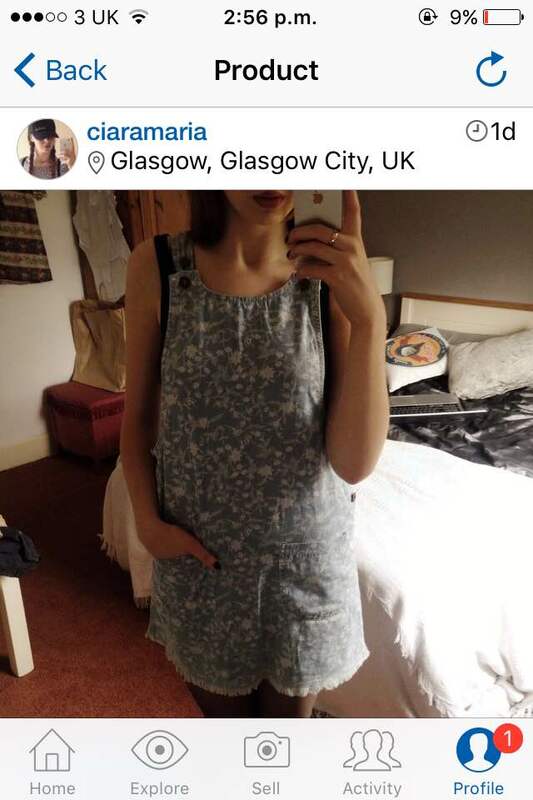 There are many other sellers on depop, and I recommend giving it a chance if you too appreciate great clothing for a good price! It’s paid through Paypal, making it a safe place to spend. 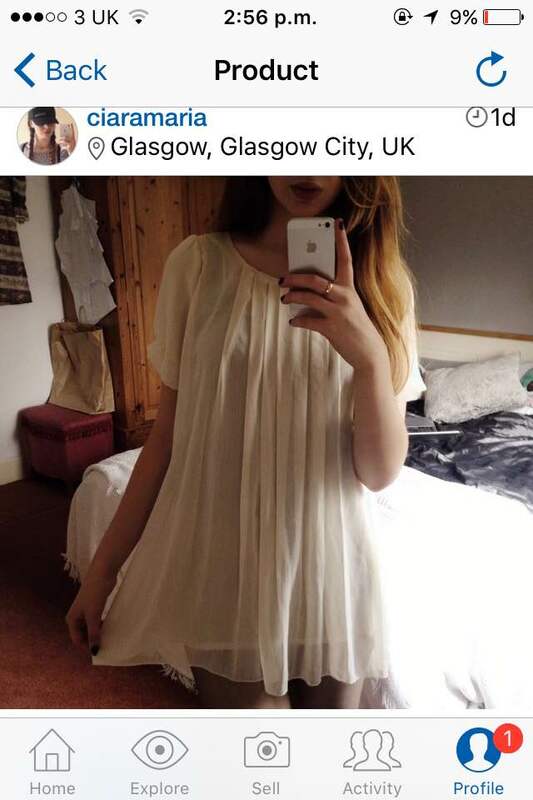 Although make sure you take a look at the sellers feedback just to be sure! 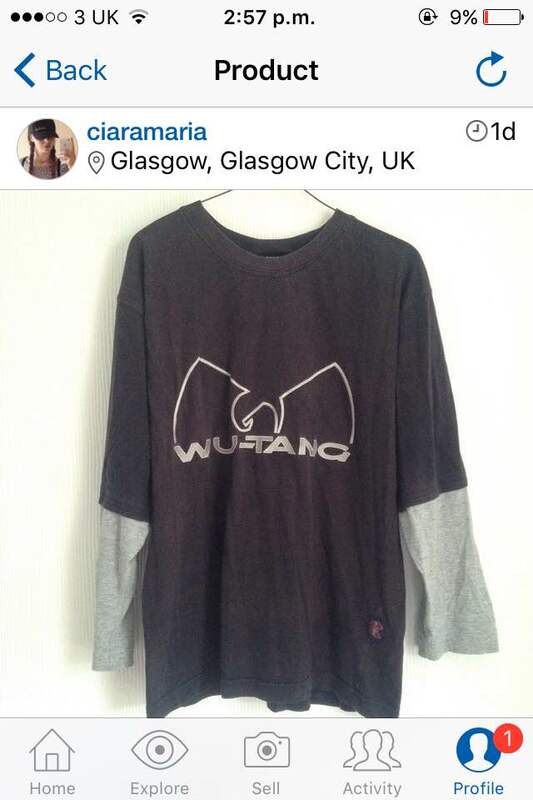 I’ve attached a few photos of my items currently still for sale, brands like Topshop, Dorothy Perkins, Savida and even an amazing original Wu-Tang Clan t-shirt from the early 90’s! When studying costume, watching plays, films, ballets and operas comes as part of a very sweet deal. Enjoying plays becomes “research”, and I am more than happy to be taking part. My first theatre trip with the class was to see Tipping The Velvet at The Royal Lyceum Theatre. After hearing several good reviews I had high expectations and luckily, It didn’t disappoint. I had never been to the Lyceum theatre and as a disclaimer I want to add that my enjoyment of the play could be partly down to the impressive surroundings that this theatre holds. A must see for anyone new to Edinburgh! Tipping the Velvet takes the history of music halls and mashes them together with something altogether more modern, a victorian lesbian love affair. Based on the novel by Sarah Walters, the story follows a young woman named Nan who falls in love with a male impersonator and follows her to London. She finds various ways to support herself as she journeys through the city. Some of her methods are definitely not for the faint hearted. And now down to the good stuff! The costumes were equally as impressive, seeing as many of the women were presented in “unlady-like” dress and often in shirts and trousers! It was an interesting take on the more butch women of Victorian society. 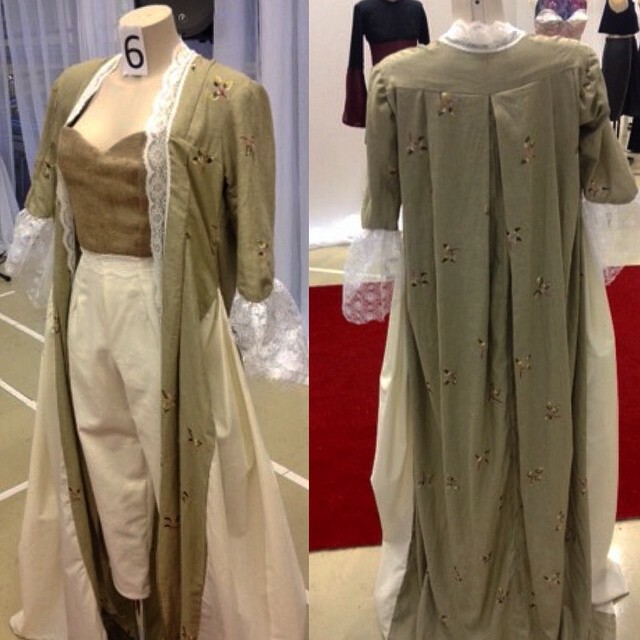 The play is set in the late 1890’s and it is clear that it remained true to the trends and silhouette. However, the colours of a few garments were sometimes dull or a mish-mash that didn’t work great together, but this can be easily overlooked. Most of the costumes for this production were probably taken from several different wardrobes. Even one of our lecturers said she noticed one of her own designs on stage! Over all, a great play with a well chosen cast. The productions leaves The Lyceum on Saturday so I recommend catching it before it’s gone, or keep an eye out for it elsewhere. If you’re looking for something a little fresh and different than your typical love story, Tipping The Velvet is for you. My third character sketch post is dedicated to Cersei Lannister from Game Of Thrones, who in my eyes can take the rightful seat on the throne as the true queen of elegant dresses. Cersei is a politically ambitious, manipulative and willful queen and a character that I have adored since season one, the sort of character you love to hate. One of the main reasons I love this character is the fact that she is nearly always fabulously dressed! She is portrayed by starring cast member Lena Headey. Clothing and fashion in the Game of Thrones TV series adds a major new layer to the narrative of the books. Costume designer Michele Clapton and her team were faced with the massive task of developing a unique style of dress worn by characters across entire continents. The detail and innovation of these designs have taken a front seat in the many reasons for the success of the show and they have most consistently been recognized by major professional awards. Michele Clapton’s work was nominated for and won the “Primetime Emmy Award for Outstanding Costumes for a Series” for all of the first four TV seasons. 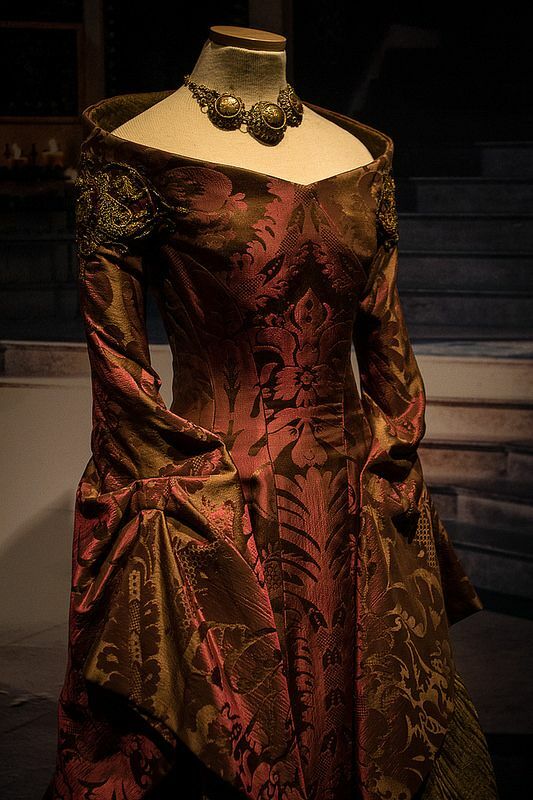 Michele Carragher is another name behind the beautiful costumes in Game of Thrones, including this dress of Cersei’s, my particular favourite. Michele specialises in hand embroidery and surface embellishment, using traditional hand embroidery techniques, smocking, beading and surface decoration. Since discovering her work I have been a huge fan. 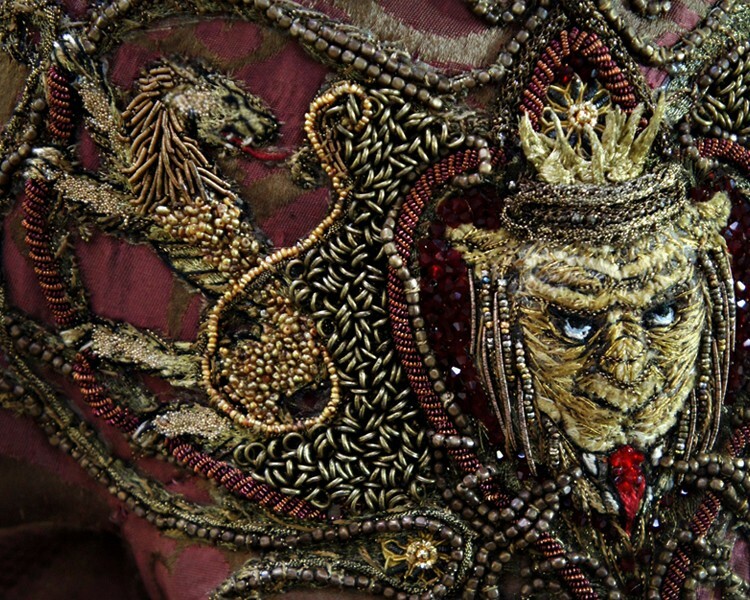 Michele is a highly creative costume hand embroiderer and a huge inspiration to me and my own work. Sadly Michele’s creation aren’t always best displayed on screen during the episodes as there would never be enough time. I highly recommend looking up her work for a closer look. Although I have added a few photos of my favourite design so you can soak up the beautiful detail of what can only be described as a pure form of art. Tie Dye and Onion Skins! So I’ve spent most of Monday experimenting with Tie Dye in my 2D class for costume design, and a majority of last Friday morning experimenting with natural and organic dyes. 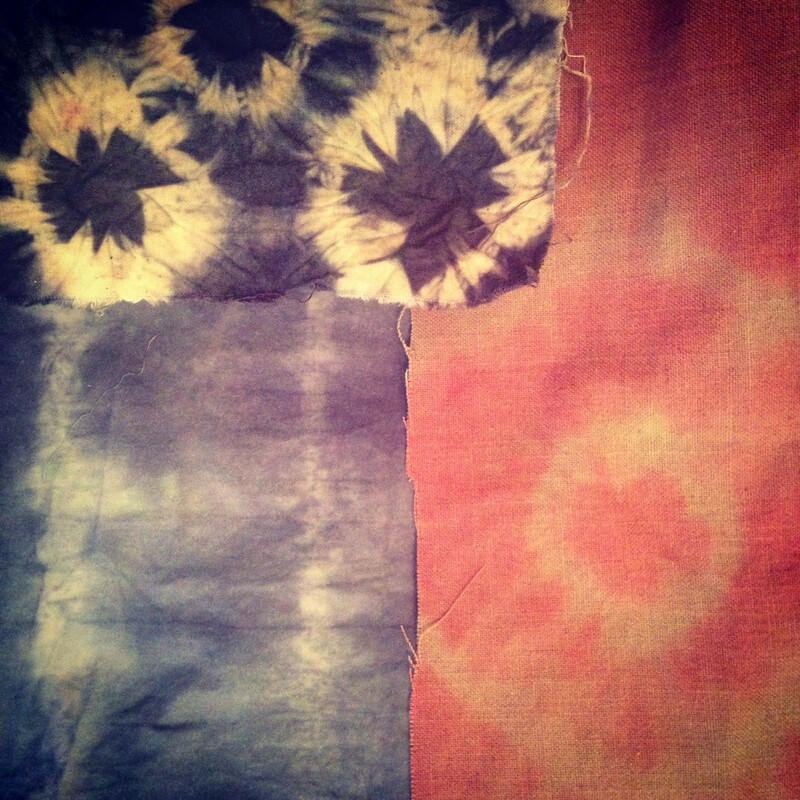 Tie dye wasn’t a new experiment for me, but using natural dyes was. 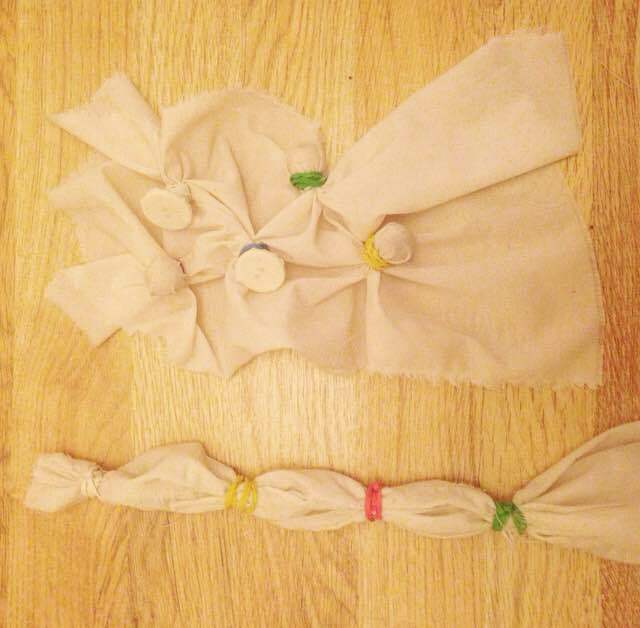 The aim was to use dyes similar to what people would have used as early as Egyptian or biblical times. Basically we had to use Ancient methods of dying on natural fabrics only. I tried berries, beetroot, turmeric, cumin, tea, coffee and even grass. But I also wanted to attempt dying with onion skins, that seemingly produced beautiful orange tones. When researching the process, there seemed to be many ways to extract the die from onion skins, however this was the easiest method for me that presented great results. 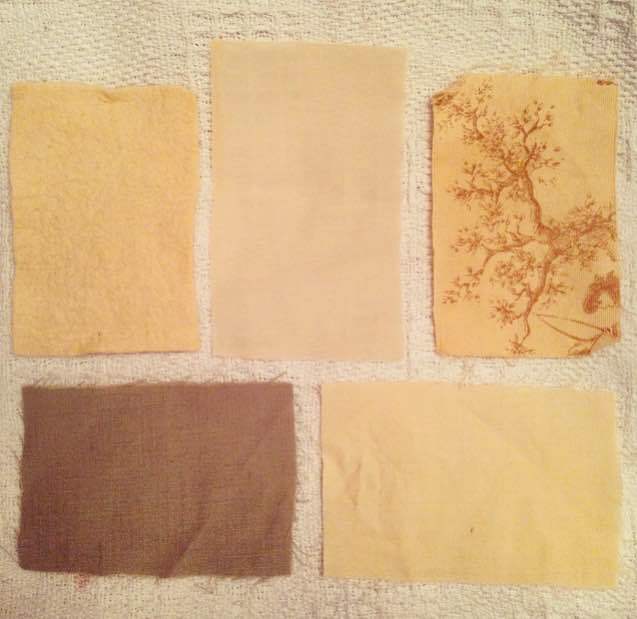 The first step was easy, soak the fabric samples in hot water. 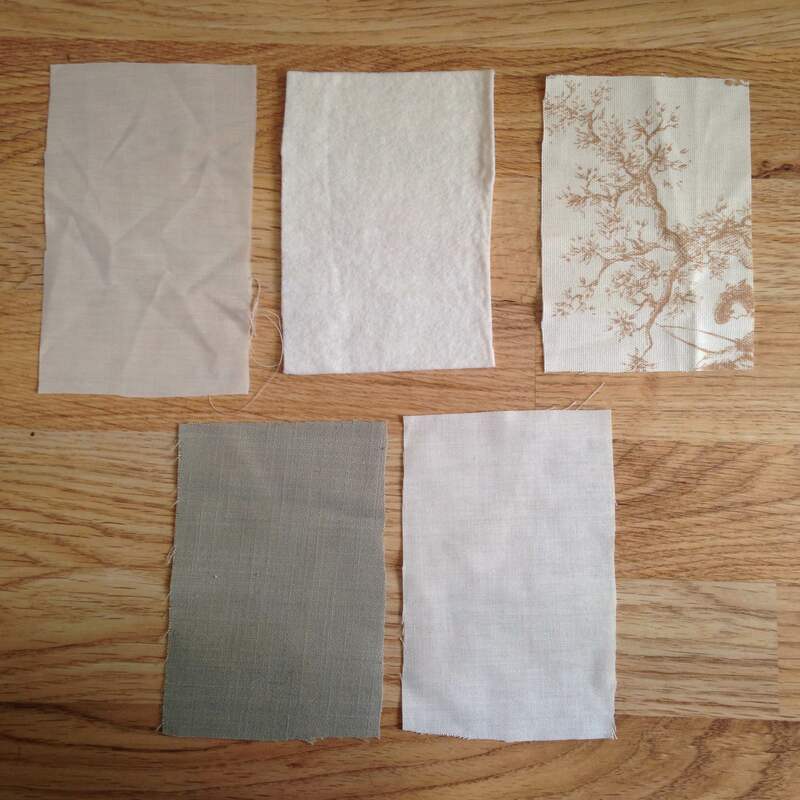 I used different types of fabric for a comparative result. I then simmered the onion skins for around 45 minutes in hot water until the skins had become slightly translucent and the water was orange in colour. When this happened, I carefully drained the water into a new pot without the skins. I then added the fabric to soak for around 3 hours. The results were great! Naturally the wool and cotton seemed to soak the dye right up and the colour was very vivid. Each sample was a slightly different shade. Tie dying workshop was next. This involves either tying beads and buttons into the fabric using elastic bands (shibori) or tying the fabric in intervals to create stripes or waves. I’ve always loved using tie dye as a method to add character to a piece and the results from the workshop were beautiful. And the great thing is, the patterns and colours that can be used are endless. You will always find that no two tie dyed pieces are the same! 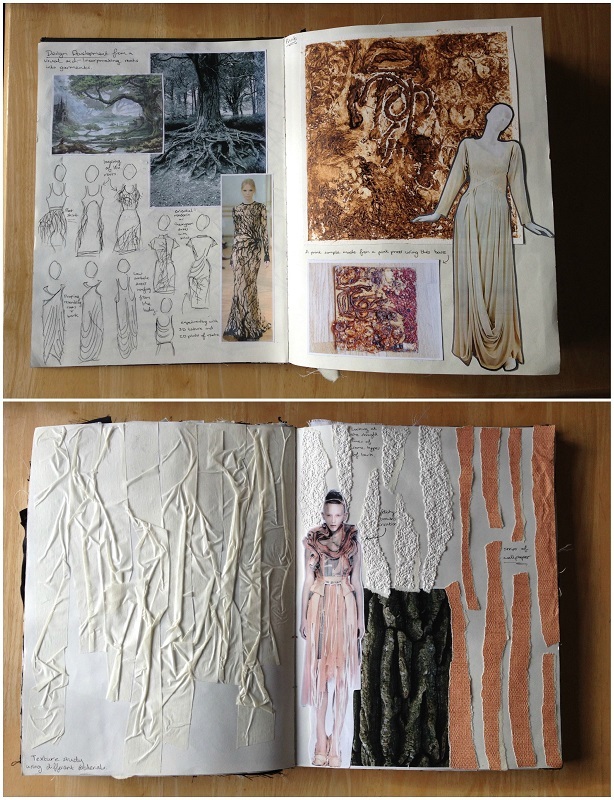 Since moving to Scotland I have been looking into jobs related to my field of costume, design or construction. This isn’t an easy thing to do when I’ve coached gymnastics since the age of 16. I needed to build up references outside of the sport. Even working in retail requires work experience. 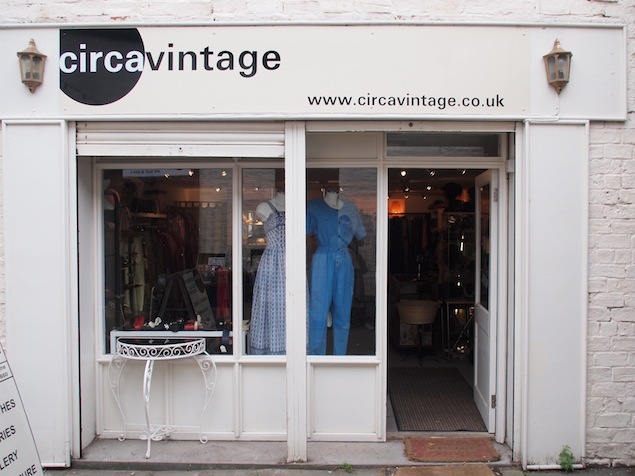 Luckily enough, within a couple of weeks I got talking to the lovely owner of Circa Vintage in Ruthven Lane in Glasgow’s West End. 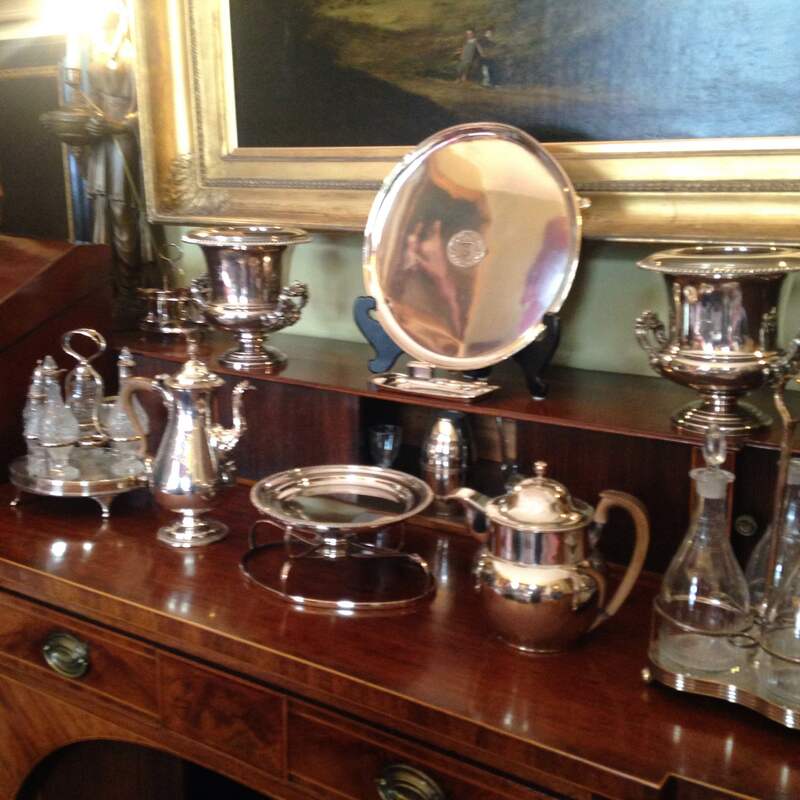 Circa Vintage is filled with various treasures spanning over the last century. From dresses, accessories, shoes, bags and even menswear, working with this store was just what I was looking for. 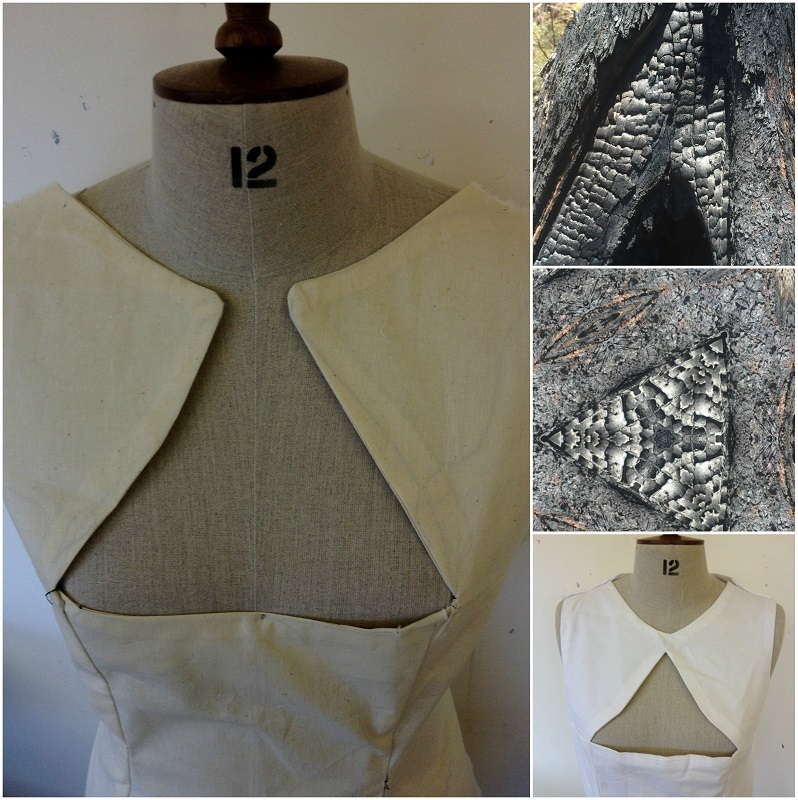 She needed an alterationist to repair or modify some garments, it was perfect. Shown below are some of my favourite pieces I’ve been working with over the past few weeks. So far I’ve mostly been working with dresses from early 1960’s to late 1970’s. Except one little number that is a gorgeous black 1950’s dress that looks as if it’s straight out of Audrey Hepburn’s “Sabrina” from 1954. Right now, the biggest project is putting a modern spin on a lot of the 60’s/70’s floor length dresses by shortening them to midi or knee-length. 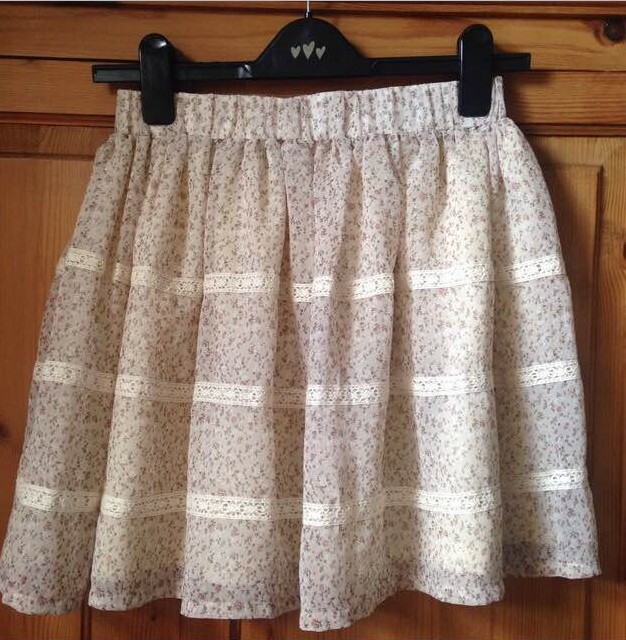 The three from the first photo below have all been shortened and re-hemmed. Sometimes it seems like a shame to cut them, but shorter dresses are what sell, and the left over fabric will be put to good use. I’ve found myself looking forward to the day I get this week’s bundle of garments to see what beauty’s I’ve got to work with. 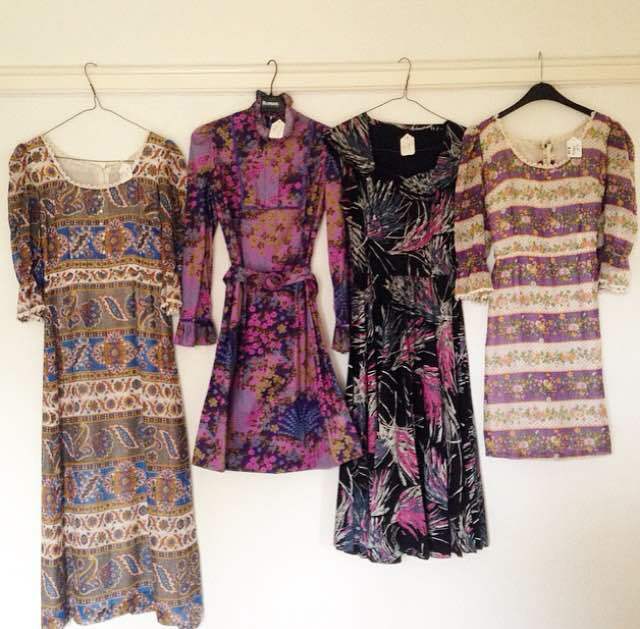 Circa Vintage is a true goldmine of many fabulous one-off vintage pieces. If you are ever near Byres Road in Glasgow’s West End, I suggest taking a trip into Ruthven Lane and checking it out for yourself. My second and third character sketches go hand in hand as both come from the television period drama Outlander. This show has raced it’s way to the top of my list of favourite shows where I think it will stay for a very very long time. The series is based on the historical “time travel” series of novels by Diana Gabaldon. It stars Caitriona Balfe and Sam Heughan, who play Claire and Jamie Fraser. Claire was a nurse in 1945 until she finds herself transported back to 18th century Scotland, 1743 to be exact, where she encounters Jamie, the bold Highland warrior involved in the Jacobite risings. Apart from the brilliant plot of the story, obviously the costumes are a huge hit. I can’t get enough of the kilts, corsets, and heavy fabrics made for utility and work, very different to a lot of pretty period dramas. The palette is more muted but still rich with earthy colours. Nature is a huge theme, sometimes hinted in in the embroidery. Obviously, I had to sketch the gorgeous Jamie in his kilt and sword. I sketched Claire in two of her day dresses. I love the historical accuracy of this show and there is so much I can learn from it, such as the bum roll or pannier. This crescent shaped pad is tied around the hips to accentuate the lady’s hips and to make the waist look smaller. This is obviously an important factor in dressing a woman of that time. Being aware of these things is something I need to keep in mind. Terry Dresbach is the costume designer for Outlander and I thinks she captures the character’s perfectly. The obvious time and effort put into the details in the costumes are so beautiful that it seems such a shame the episodes aren’t longer so we can appreciate/drool over them for hours one end! If you haven’t watched the show and you’re interested in historical costume, or even just hot Scottish men in kilts, then I advise you give it a try. You have until January before season 2 comes out! So this week was my first induction week of my new course in my new college. So far, so good. 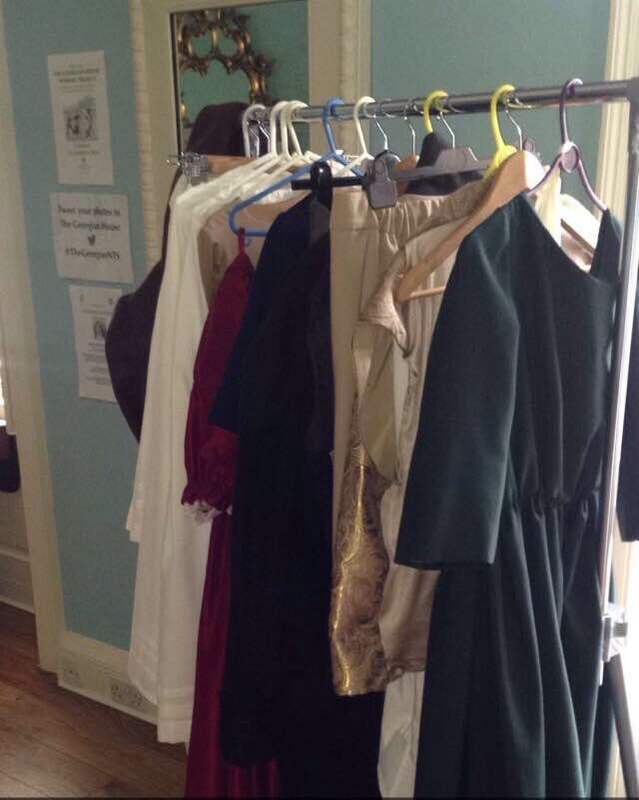 I’m so excited to get my teeth stuck into theatre costume as this summer has been far too long. Also, a new college year means Autumn is approaching, by far my favourite season! My outfit of the week is very autumnal. I visited Urban Outfitters this week to check out their new line and I was very pleased, turtle necks everywhere! ❤️ A huge factor when it comes to my style is comfort and what’s comfier than a turtle neck? For a comfy college outfit I picked up this gorgeous olive ribbed top from Primark and a pair of high waisted Joni jeans from Topshop, paired with a vintage large buckle belt. On my feet I’m wearing my favourite pointed toe chelsea boots from Public Desire. 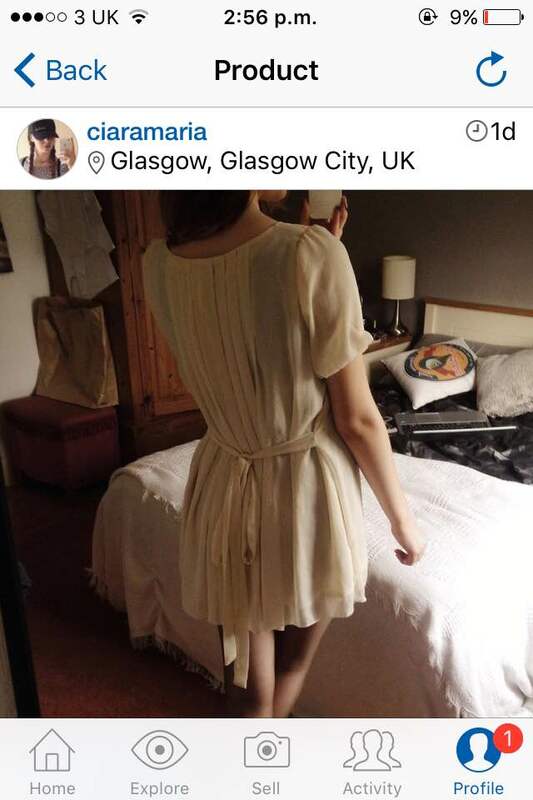 Check out more ootd’s on my instagram (ciaranolan) or follow my blog for daily posts! 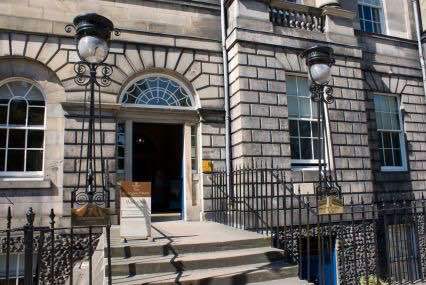 Yesterday, my Theatre Costume class and I visited The Georgian House at No.7 Charlotte Square in the heart of the New Town in Edinburgh. As I am new to the city I thought it was an interesting first look at what the city has to offer, and it didn’t disappoint. I could be a little biased though, as I have such a strong love for anything historical related and this 18th-century town-house was no exception. 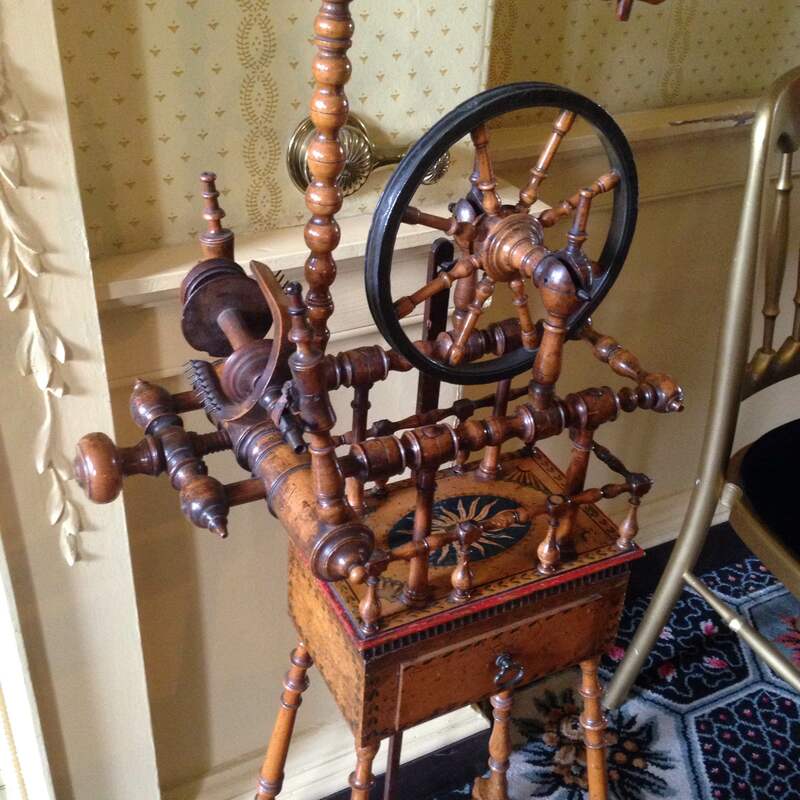 It has been restored and furnished by the National Trust for Scotland an is operated as a popular tourist attraction. If you are in the area I highly recommend checking it out! 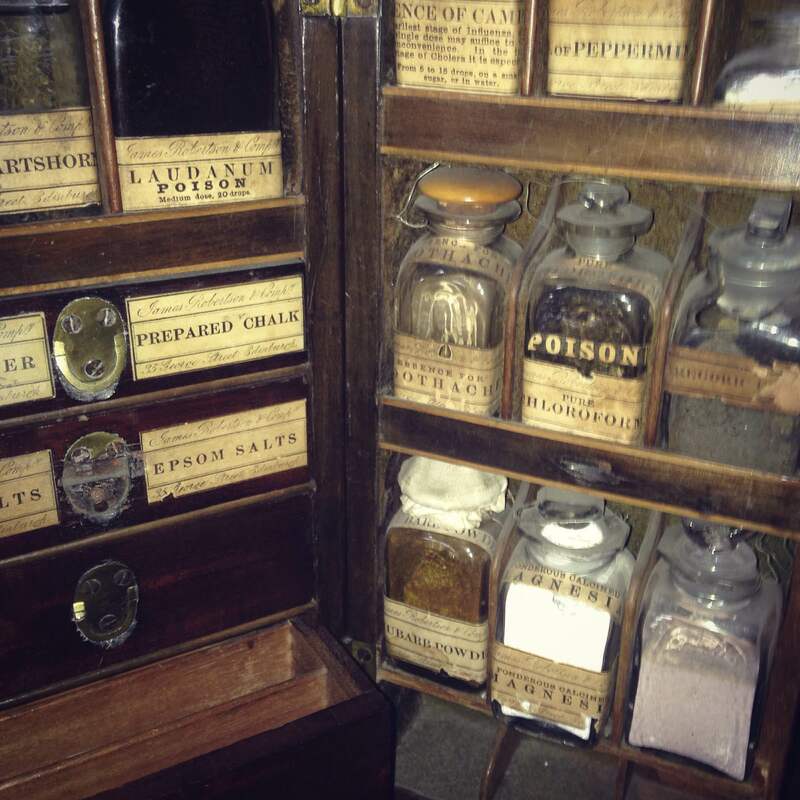 I took a few photos as I went about to give you look at what this historical treasure holds. The first owner of The Georgian House was John Lamont in 1796, where he lived with his wife Helen and their five children. 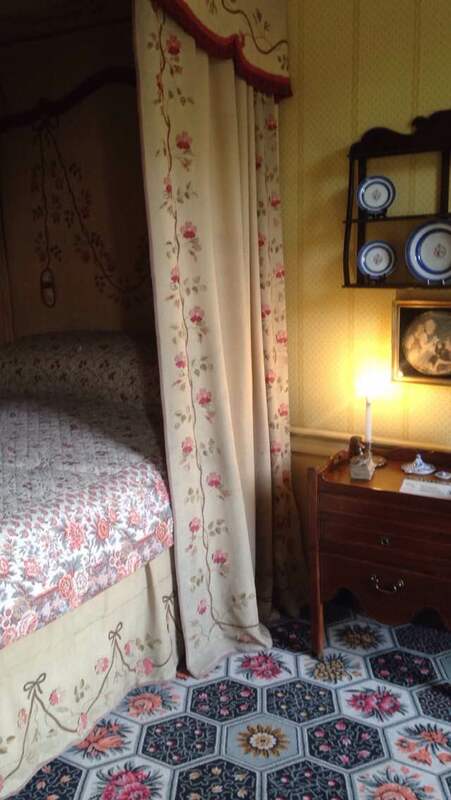 Lamont is the owner who is of most interest to the visitors today, due to the fact that it has been restored to represent what the house may have looked like at the time they occupied it. Also, his story is interesting as although John Lamont was a wealthy man he had inherited some debts owing to his own extravagant lifestyle. He spent his time living beyond his means, hiring servants he didn’t need and holding lavish house parties he couldn’t afford. 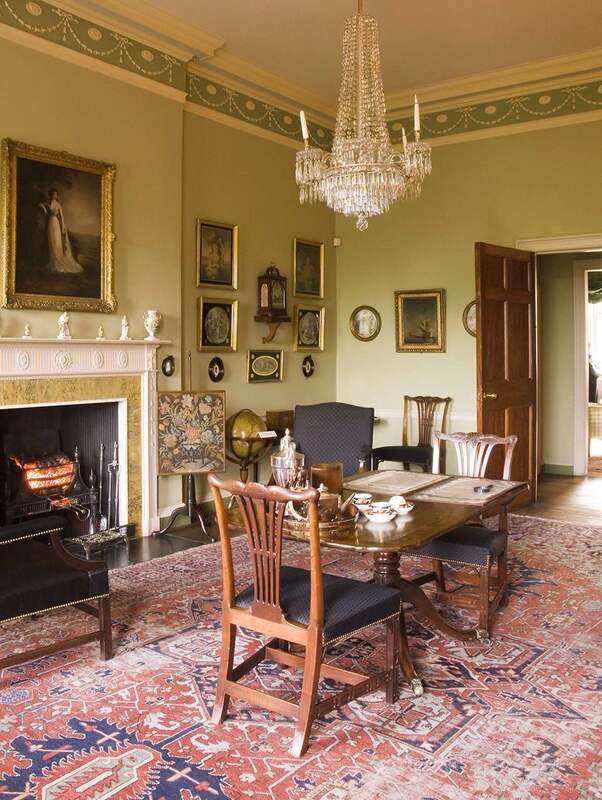 He sold the house in 1816 for £3,000, worth around £3 million today. While visiting The Georgian House we had the chance to watch a short film, a re-enactment of the running of such a grand house and the interesting story of The Lamont Family. There were friendly guides in each room willing to offer information and facts about the decor. 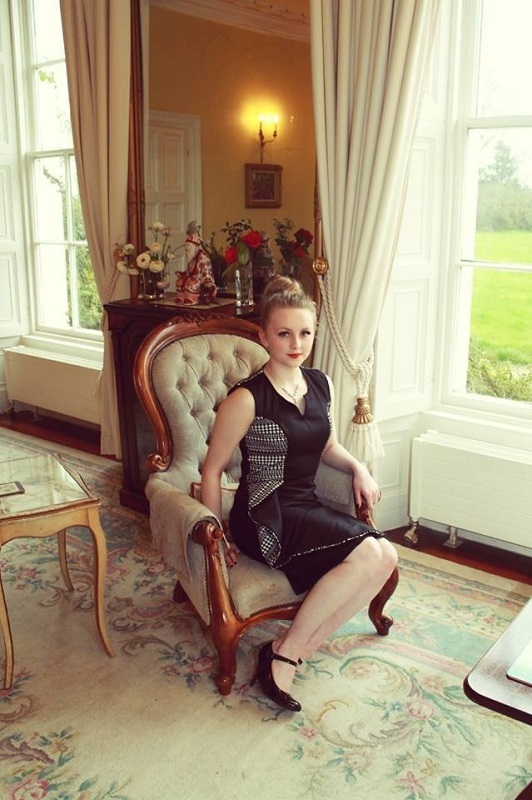 We slowly browsed through the house in our own time, from the lavish bedrooms to the servants quarters in the basement. 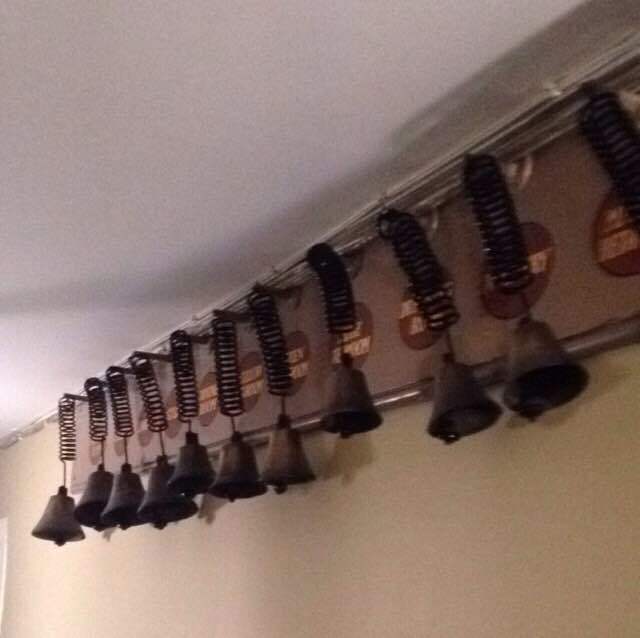 The Georgian House is a true gem and I look forward to seeing what the rest of this city has to offer. 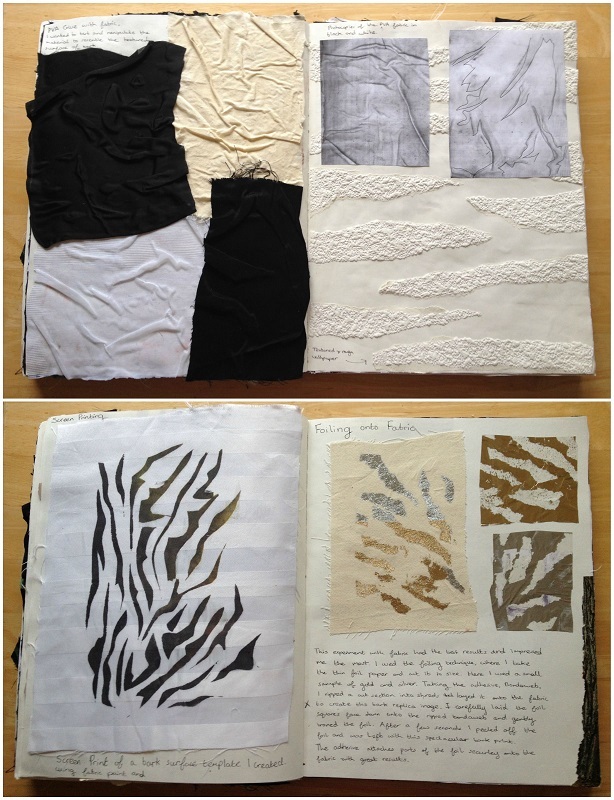 In May, I finished my two years of studying Fashion and Textile Design. My thoughts? Not for me. Don’t get me wrong, I love and admire the industry. I enjoy every minute of creating/designing, and without it I wouldn’t have the skills I have now. But it took those two years to finally accept that my interest is, and always has been directed more to historical costume than contemporary trends. 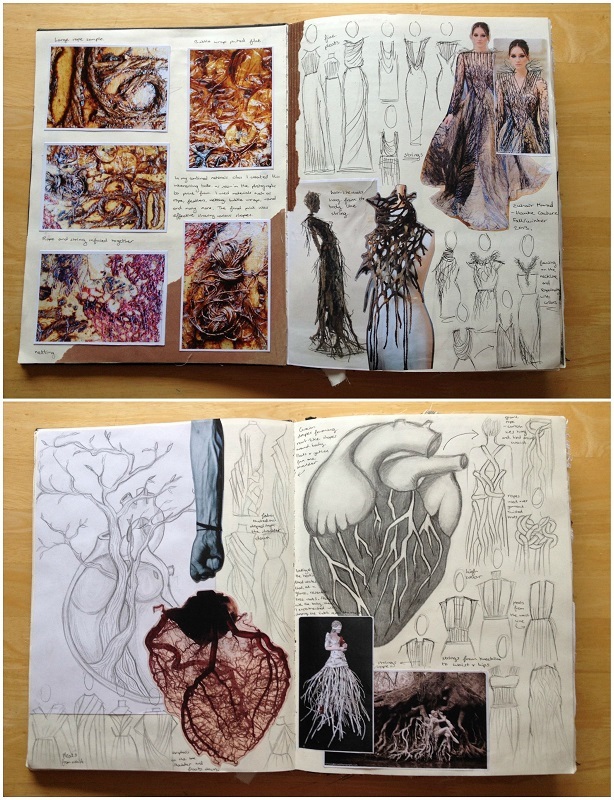 No matter how much I tried, my designs were still heavily influenced by the past, which is common in fashion. But as more and more modern designers now relish in new fresh ideas, I found myself yearning for the impractical yet beautiful, intricate and fascinating fashion of centuries gone by. And I didn’t want to just be influenced by them, I wanted to make them myself. Now, after starting Theatre Costume in Edinburgh, Scotland, I finally feel comfortable in what I am creating. I can look back at the past two years and appreciate what I have learned. The subject is great if you are a creative person. But be warned, you must be willing to put the hours in, you won’t get by on talent alone. If you’re worried or unsure about studying fashion, I say go for it if you think it will make you happier than studying anything else. I will always love fashion, and who knows, maybe I’ll find myself coming back to it in years to come. 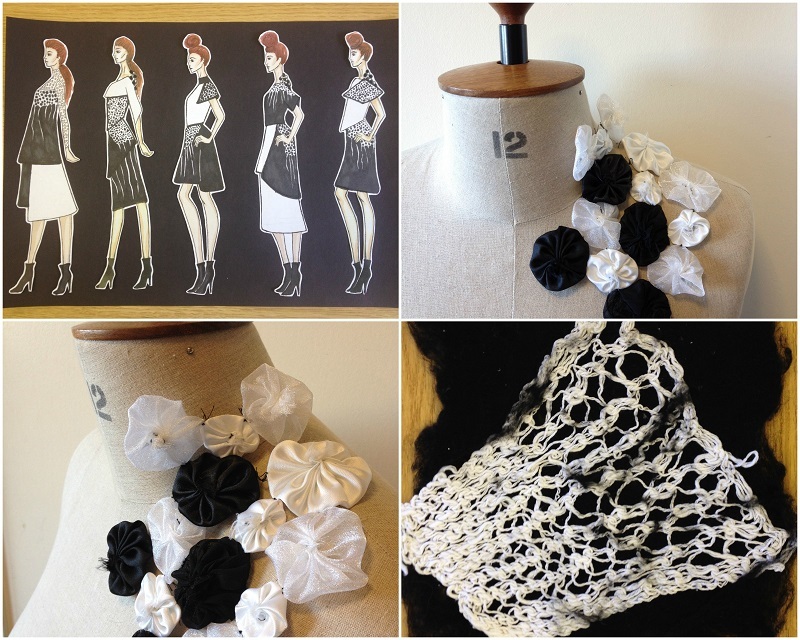 I thought I would share some of my work here from various different project for anyone interested or thinking about studying fashion and textiles. Enjoy!